Railpictures.ca - John Eull collection Photo: Four RS18s work Hamilton Yard in this undated photo from the early 1960s (3128, 3123, and two unidentified units–one out of the cropped photo). | Railpictures.ca – Canadian Railway Photography – photographie ferroviaire Canadienne. 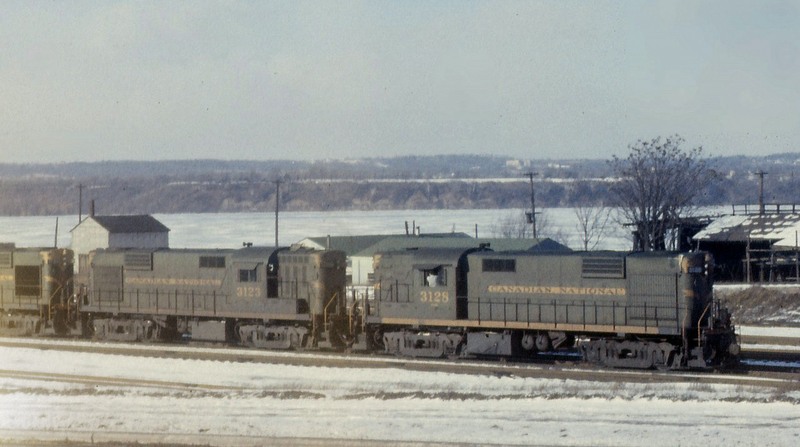 Caption: Four RS18s work Hamilton Yard in this undated photo from the early 1960s (3128, 3123, and two unidentified units--one out of the cropped photo).